Chelsea loves spending her time with her family, exploring and homeschooling in Santa Cruz. Favorite past-times include day-dreaming, singing with other unicorns, walking through the woods and doing anything that provokes a giggle. 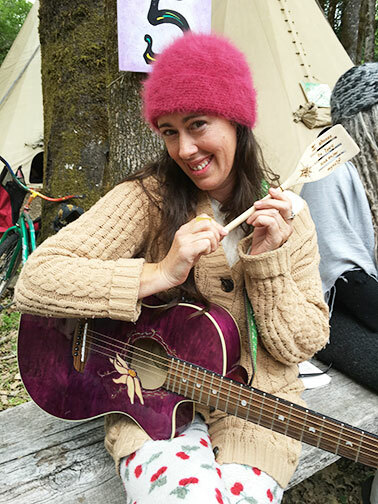 She has been teaching early childhood education for over eight years, and playing music for young children for ten years.